The Battle of Worcester Society, the Cromwell Association, the Worcester Battlefield Partnership and The Battlefields Trust have worked together to develop a new information board which provides details on the use of a bridge of boats by the parliamentarian army at the confluence of the rivers Teme and Severn during the battle of Worcester in 1651. A talk about the battle will now take place at the Ketch Viewpoint (WR5 3HW) at 10.30 a.m. and the unveiling at 11.30 a.m.
We have been advised that owing to an adjacent car boot sale there may be a difficulty with parking at the Ketch Viewpoint. In that case, there is alternative parking available at the Ketch Caravan Park (also WR5 3HW), the vehicle entrance to which is on the A38 next to B and M Bargains/Aldi on one side and the Ketch public house on the other. There will then be a walk down a steepish hill to the public footpath next to the river. 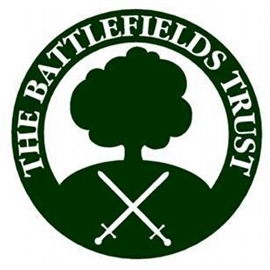 Due to a lack of space, the unveiling ceremony will be limited to members of the groups, including the Battlefields Trust, that have been involved in the information board's development.